Leonard J. Attman was appointed as a member of the Maryland Stadium Authority on July 1, 2005. President of Attman Properties Company, Mr. Attman has more than four decades of experience in residential and commercial real estate development. His professional experience includes the development of apartment communities, individual home developments, shopping centers and a recreational park. Mr. Attman attended the University of Maryland. His involvement in professional, civic and philanthropic organizations includes membership on the Boards of Sinai Hospital, the Shosana S. Cardin High School, Beth Tfiloh Brotherhood, the Board of Directors of the Reginald F. Lewis Museum and the Signal 13 Foundation for the Baltimore City Police Department. Additionly, he actively participates in the activities a many other organizations including the Advisory Board for the Shock Trauma Unit at the University of Maryland Medical Systems. 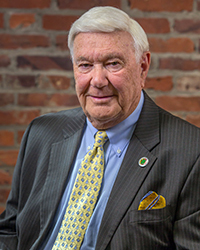 Mr. Attman was the founder and serves as Chairman of the Board of Directors of Future Care which manages nine nursing home facilities serving more than 1,300 patients and providing employment for in excess of 1,500 people.